Reconditioned racing themed video arcade game! 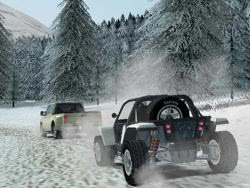 Sega released the Ford Racing game in 2006 as the perfect way for players to experience what it would be like to take the classic '78 Ford Capri or Ford GT Concept for a race. Ford Racing takes an amazing range of cars from the '68 Mustang GT to concept cars to the Focus Rally and pits them against a huge variety of courses and challenges. Please note that screen shots are photographs and may not represent high quality of game graphics. This edition of Ford Racing is available in the twin sit down cabinet. 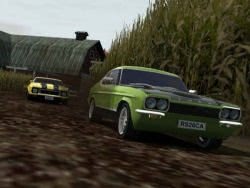 Ford Racing: Full Blown was originally released to the arcade and amusement trade industry in 2006 and was a huge hit - indeed you may still find the game in some family amusement centres, arcade venues and cinema foyers.